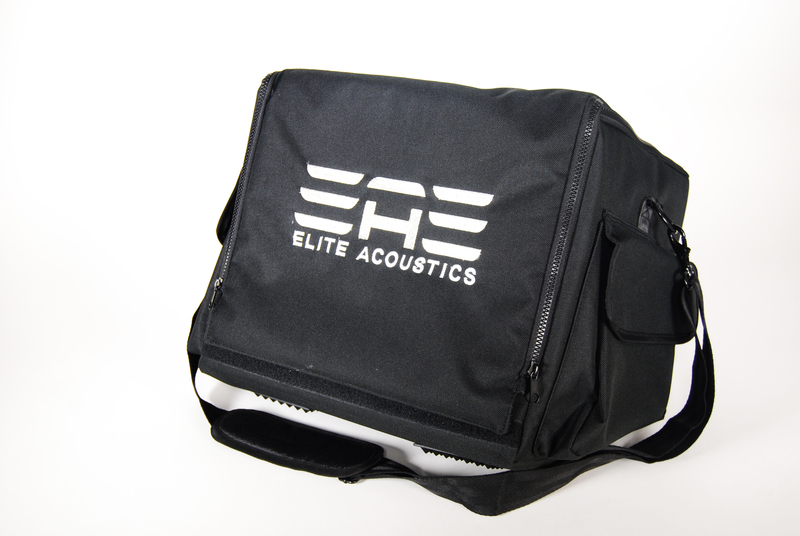 Elite Acoustics’ M2-6 Live-Performance Studio Monitor with Mixer, Effects, and Bluetooth features an ergonomically sculpted cabinet to support horizontal or vertical placement; 6½ inch woofer for improved bass response along with a 1 inch silk-dome tweeter to deliver maximum clarity. 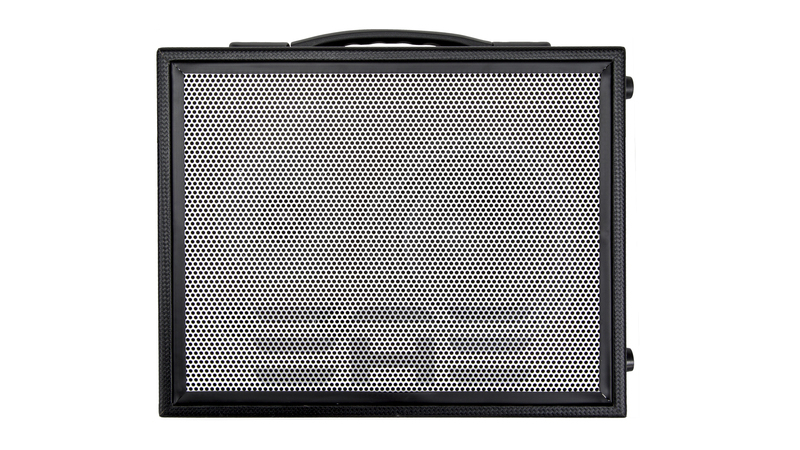 M2-6 offers 4 input channels and integrated digital effects with an efficient Class D bi-amp. 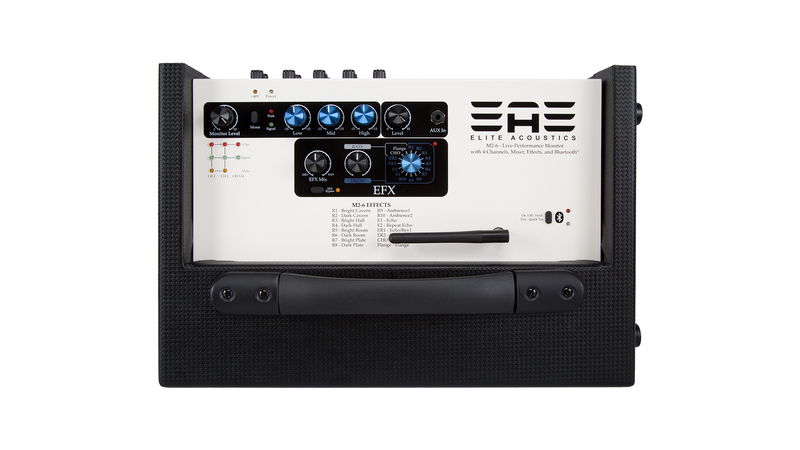 The Master section contains a 3-band EQ, Monitor Volume and stereo AUX input with level control. Selectable Direct Outs or Main mix outputs are provided for system expansion and integration. 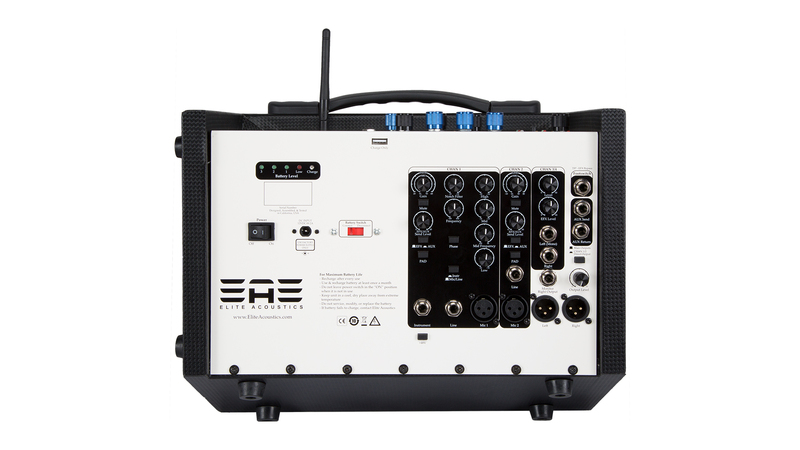 M2-6 preserves stereo input sources, thereby allowing true stereo playback when used with additional speaker systems. 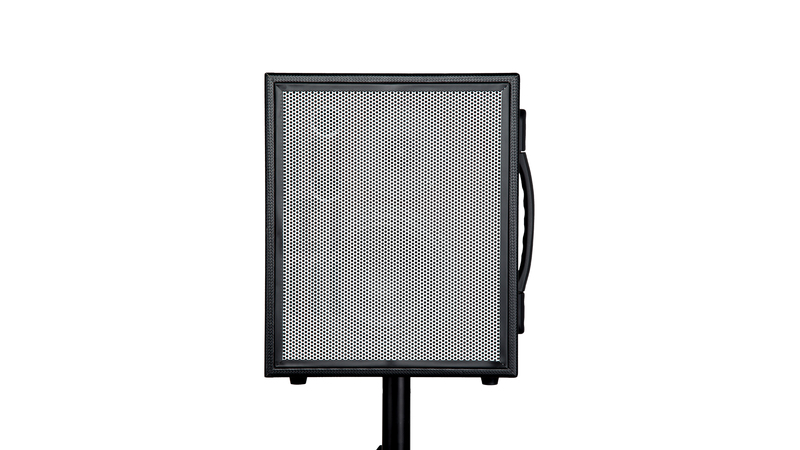 The cabinet is constructed from solid MDF to ensure durability and high fidelity sound, and contains an integrated pole-cup. 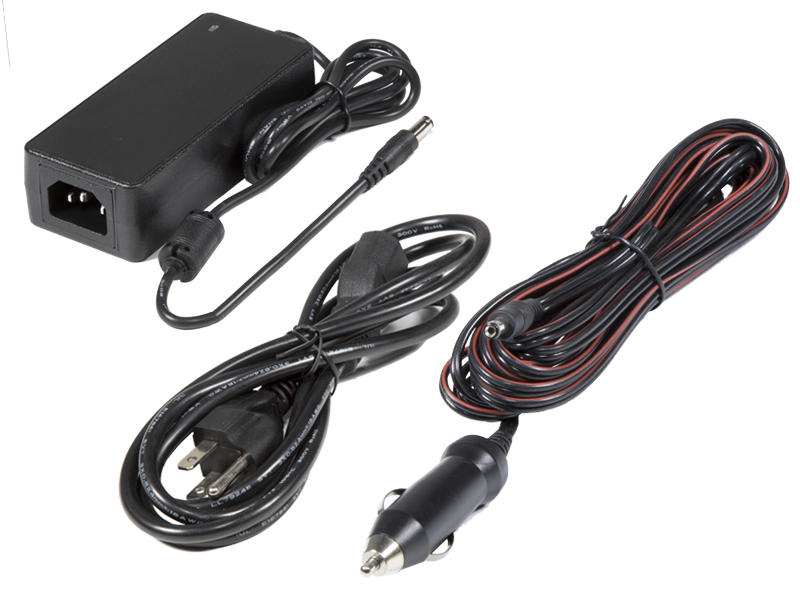 The included charger doubles as a power supply for non-battery powered operation. 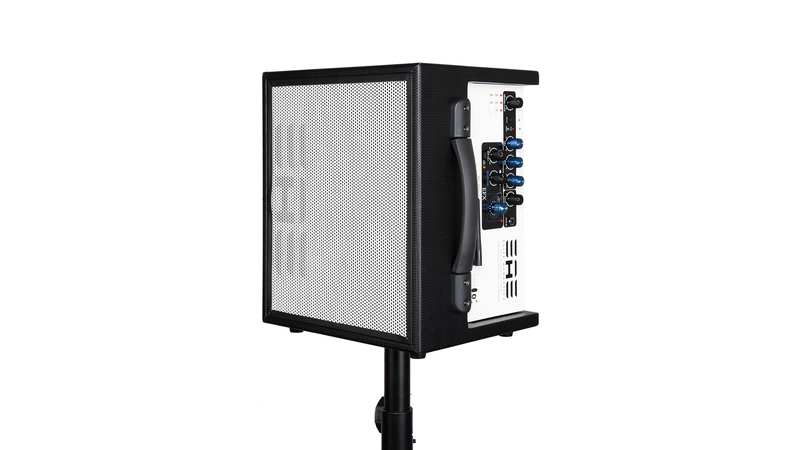 M2-6 can also be powered and charged from a car (with included adapter) and once fully charged, the speaker can provide 6-8 hours of playing time. 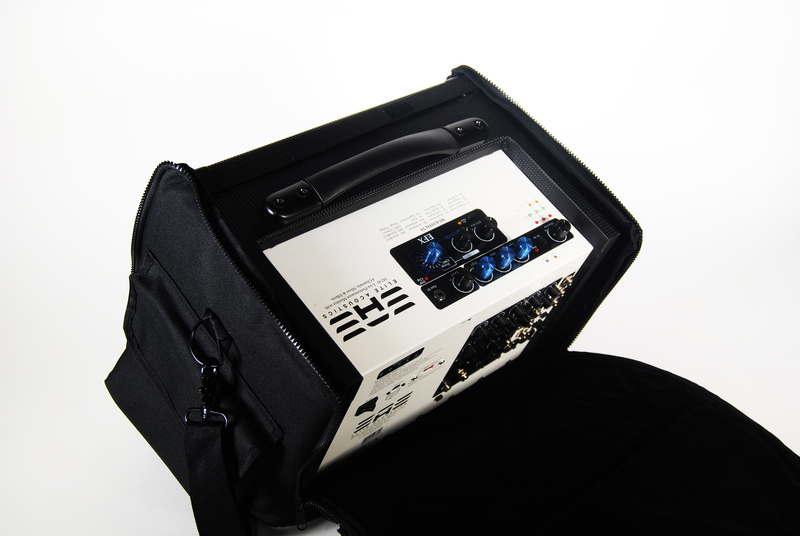 Built-in overcharge/over-drain circuits protect the battery to maximize battery life. Designed and built in USA. Carrier Bag is sold separately. Dimensions: 13 in. x 11 in. x 9 in.